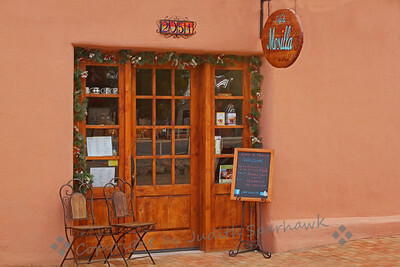 Mesilla is a little historic town on the edge of Las Cruces, New Mexico. 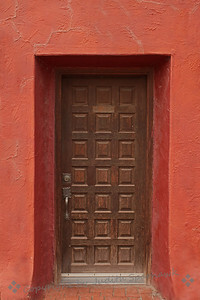 It is filled with wonderful doorways and gates and windows, with charming shops, galleries and restaurants. 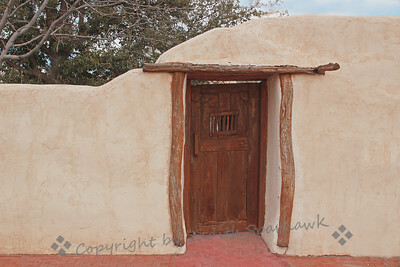 I spent an afternoon wandering with my camera, taking away great memories of a special place. 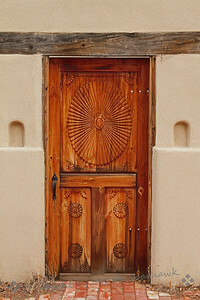 The Door in the Wall ~ I really liked this rustic door in the adobe wall. 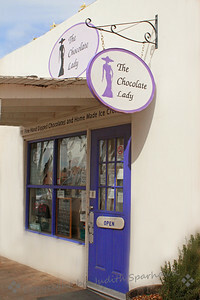 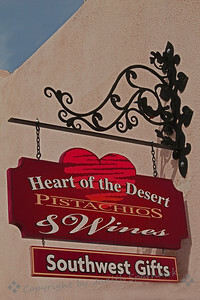 Walking the streets of Mesilla, NM, I liked the look of this sign above this shop. 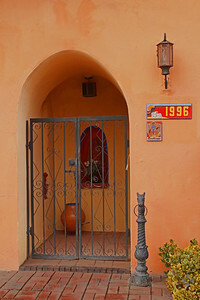 Mesilla Doorway ~ I loved the southwestern colors of homes and doorways. 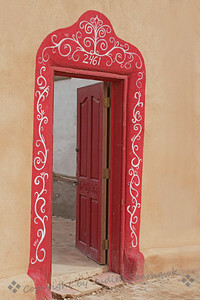 This doorway was in the historic Barela-Gallegos Adobe, built in 1855. 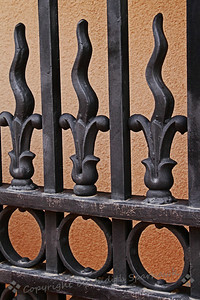 Walking around the streets of Mesilla, New Mexico, this wrought Iron gate caught my eye. 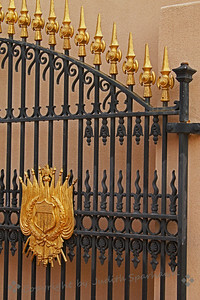 This is a small part of the gate detail. 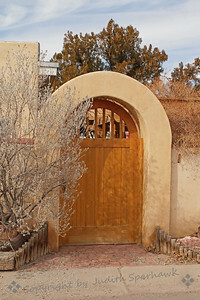 Spires of Gold ~ Gate details show against the stucco wall. 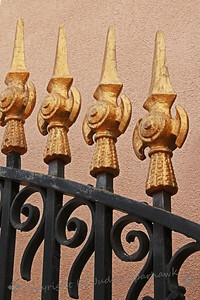 Black & Gold ~ I liked the details of this ornate gate. 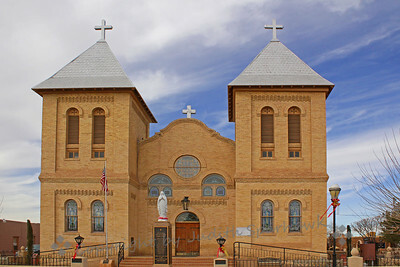 Church in the Square ~ This church is the Basilica of San Albino, Catholic Church of Las Cruces. 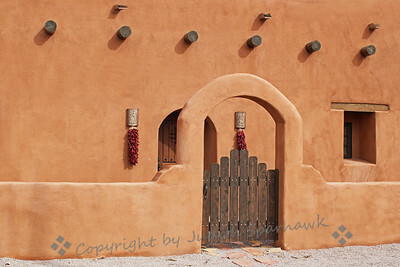 Like most old New Mexican towns, the church is the center of the town, with streets laid out around it. 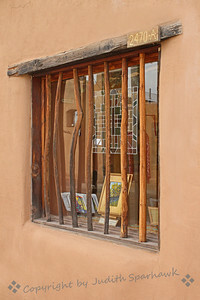 The Rustic Window ~ This shop or gallery window caught my eye as I walked the streets of Mesilla. 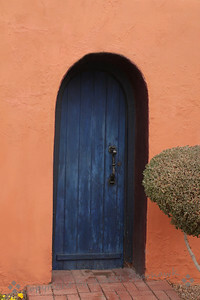 The Entryway ~ A charming entrance, with olla and flowers in the niche. 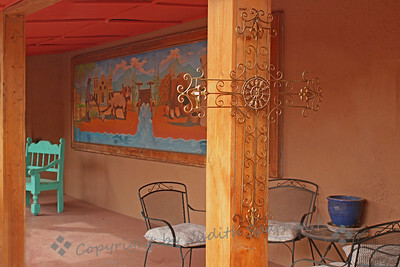 ~ I found this beautiful cross in an inner courtyard that I passed by in Mesilla, New Mexico. 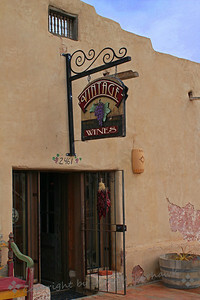 Vintage Wines ~ An inviting wine shop in Mesilla, New Mexico. 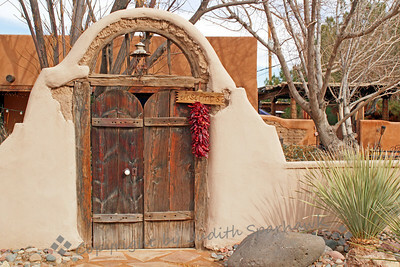 The Ristra Shop ~ This shop was filled with ristras--strings of dried chiles--of all sizes. 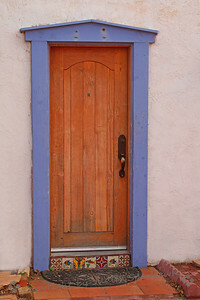 The largest were close to 6 feet long. 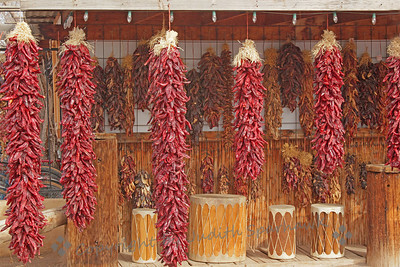 They are purchased for decorative and practical purposes, intended to be used pepper by pepper, in preparing those delicious spicy dishes. 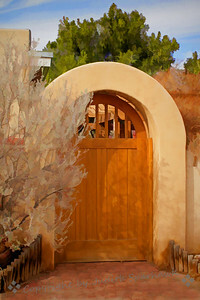 The Garden Gate ~ A wonderful gate leading into the garden of a home in Messila, New Mexico. 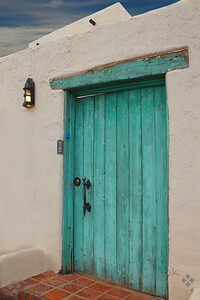 Mesilla Door ~ I liked the decorative tiles on the doorstep, and the periwinkle blue door frame.